Help us by helping support Havoc during training. Check back often for Updates on Havoc's progress. Havok comes to us from sunny southern California. He is currently in training for drug and handler protection. Because Havok is still a baby, only 11 months, he will be with us for some time to come as he matures. 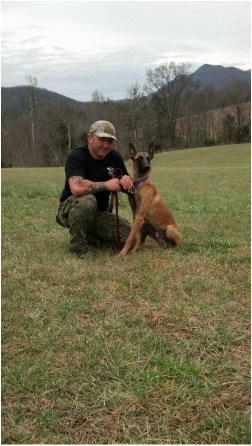 Please help support Havoc during his year long training. Donations are welcome, and Havoc thanks you!! !